Show Notes by Alex Luyckx - We’re not fooling around here - we have an extra special episode for you today! In the studio with Michael Raso, Leslie Lazenby, Mat Marrash, and Mark O’Brien are George Weiss and Patrick Tobin from The Impossible Project ! We're talkin' all things impossible! Impossible Project - If you’re new to the Podcast and haven’t had a chance to go through our extensive back catalog of episodes let’s fill you in. The FPP has been a big supporter of The Impossible Project since the very beginning and for a few years, Michael was Polaroid crazy. The story of The Impossible Project starts where the story of Polaroid ended. Back in 2008, Polaroid was beginning to wrap up instant film production at their last operational factory in the Netherlands. André Bosman and Marwan Saba were joined by Dr. Florian Kaps and began to court investors and would buy out the Netherlands Factory. 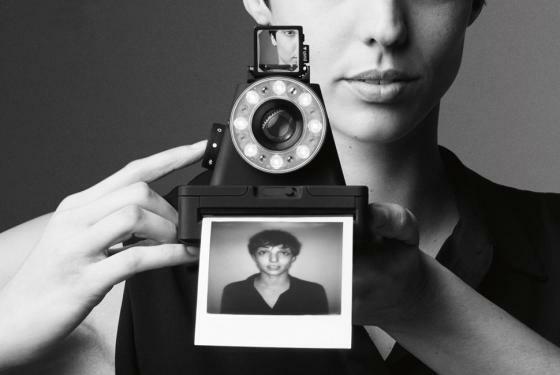 Using a team of former Polaroid employees and soon others would go about the impossible, recreating from scratch the instant integral film that Polaroid was known for around the world. They succeeded, and today they still produce film out of their Netherlands factory with head offices in Berlin and even an office and warehouse in New York to serve their North American customers.Both George and Patrick are relatively new employees of Impossible - both joining the team in the 2010s after seeing so much passion for instant film on Flickr. And even with working for Impossible they maintain their love of both instant and traditional films. And what a journey Impossible has been on, from the very early stumbling first steps, to the fantastic line of films that they produce today the films have come a long way from those first packs. Today the development times of their Black & White films have dropped to approximately five minutes, and you no longer need to shield it from light. The colour film takes about twenty minutes to develop fully and does need shielding upon exiting the camera but when it’s done right produces a wonderful image with a pleasing colour palette. They do ask that you don’t shake it. What films does Impossible produce today? They produce both black and white and colour films for the three major instant integral cameras that are the original SX-70, 600 and Spectra lines. They also produce instant 8x10 film that does require a special holder and developing device to work. 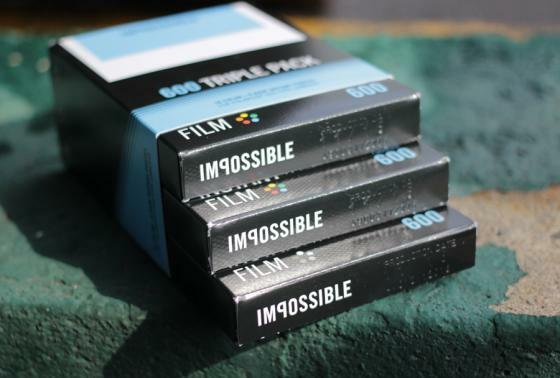 Impossible also has their own I-Type films that lack the battery that the SX-70, 600, and Spectra film packs need. The reason is that their own Instant Lab and I-1 cameras have the batteries built into the camera body, unlike vintage Polaroid Cameras. If you do run across a vintage Polaroid, it can then be difficult to figure out if the camera works or not, because if there is a film pack in the camera the battery is probably long dead. Sadly if you aren’t a regular shooter, you’ll lack the tools needed to test it out. You will need to invest in a couple of packs of film. But if you do have a spare pack, just load up a couple of frames that you aren’t too fond of, the dark slide and load it in, if it ejects the slide and ejects the frame each time you press the shutter there’s a good chance you have a working camera. You don’t have to shoot with the vintage Polaroids, last year Impossible announced and delivered their very own camera, the I-1. This is an advanced point-and-shoot camera, while you can easily load up the camera with either 600 type or I-Type film and go to town, you have control over the flash, aperture, and if you pair it up with your smartphone and the Impossible App you have a ton of additional creative control! The biggest question we get at the FPP and the folks at the Impossible Project get if they are going to pick up the production of the peel apart Type-100 Polaroid film after Fuji announced they would cease production. The answer is right now no because that film was produced by Polaroid’s Mexico plant and the machines were scrapped after the closure. So if there is going to be a new peel apart film it’ll have to come from someone else. If you’re looking for an excuse to break out the instant film, Polaroid Week is happening April 16th to the 21st, so get out your vintage Polaroids, Fuji Instax, and Impossible I-1 Cameras and load them up and get shooting. If you need film, you can go and grab some from the FPP store. If you need a Polaroid Camera the FPP stock a wide selection of tested and working gear! That’s it for this show, but we’ll be back in a short two weeks. Until then you can share your instant images and any other film based photos on our Flickr group and be sure to join in the discussion. 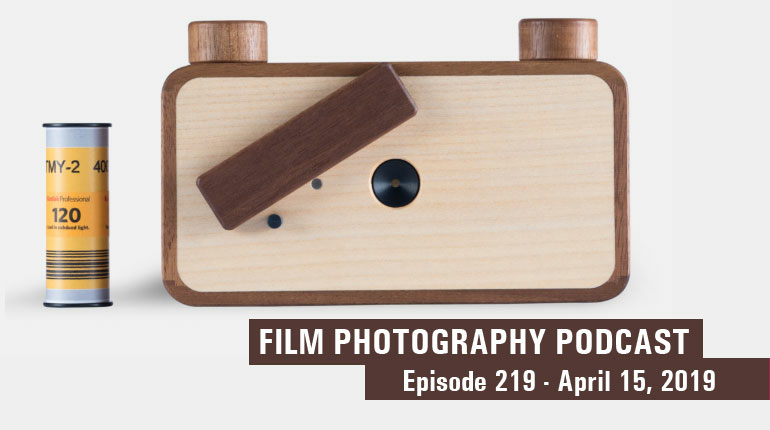 If you get the hankering to write us, you can do so by regular post: Film Photography Podcast PO Box 264 Fair Lawn, NJ 07410 or by email: podcast@filmphotographyproject.com! 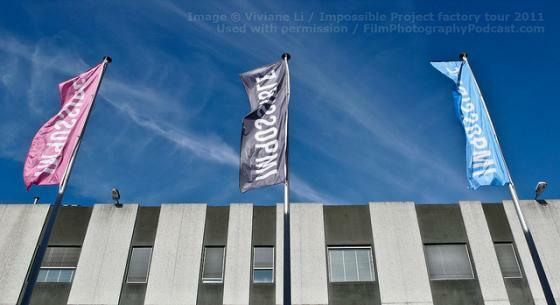 0:01:38 Integral film defined and Polaroid cameras listed that the Impossible Project makes products for. 0:21:07 Impossible's camera, launch history and film discussed including testing how to advice. 0:28:00 timings by subject to be completed a bit later. 0:21:07 Impossible’s camera, launch history and film discussed including testing how to advice.